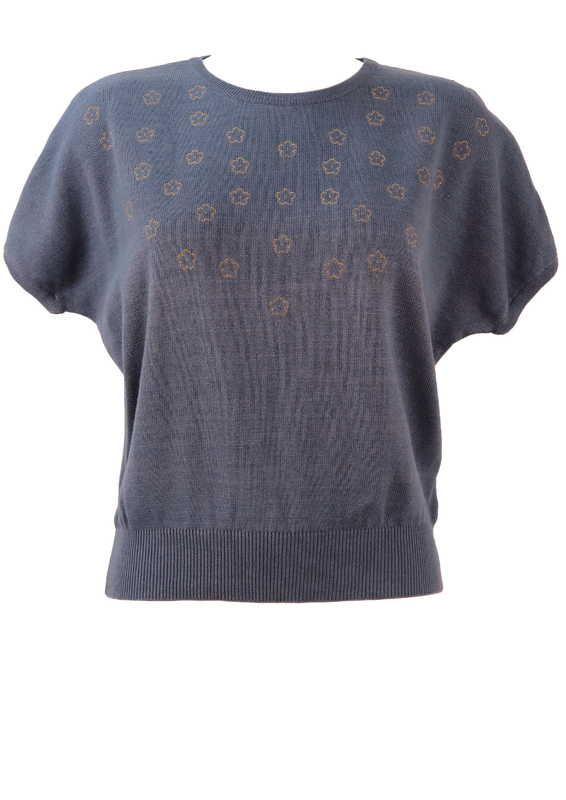 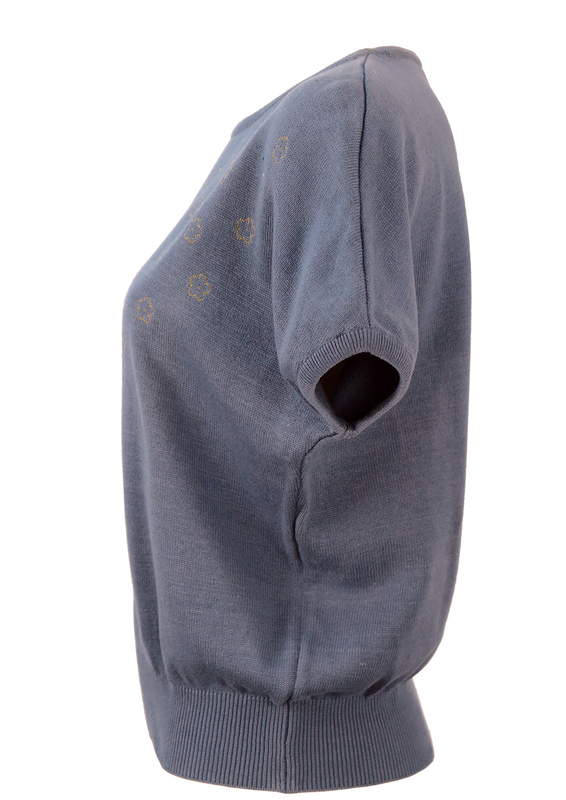 Short sleeved cotton jumper in a lovely blue/grey colour tone highlighted by a pretty metallic gold floral pattern. 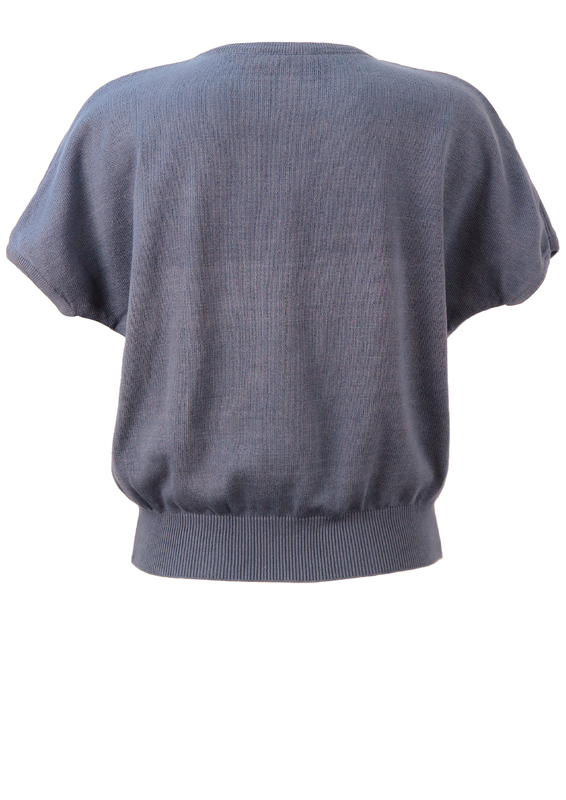 The jumper has gentle batwing style sleeves which extend down past the chest. For this reason, we cannot provide an accurate chest measurement, however our sizing guideline is an M.
Please note that there is some subtle colour fade in parts and the jumper has been priced to reflect this.